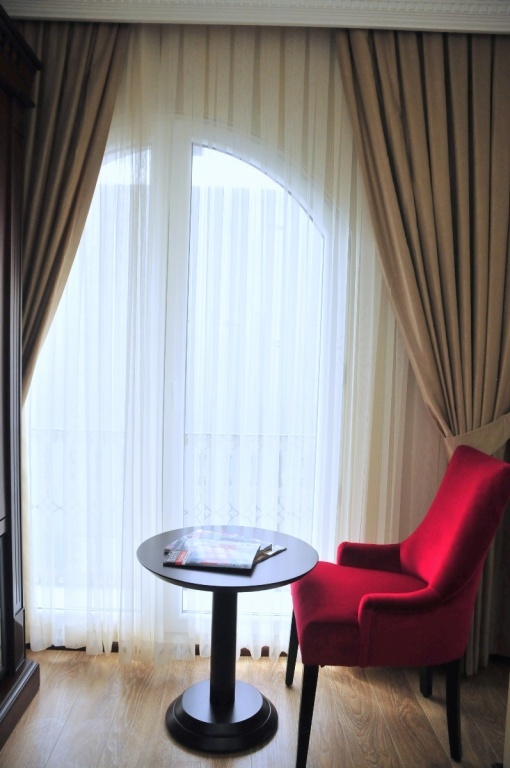 The Standard Double Room is a sizable room illuminated by natural sunlight beaming from the spacious balcony, with a king size bed dressed in plush linens for the ultimate relaxation after a day of Istanbul strolling. Seek spa like comforts in the Standard Double Room bathroom adorned in fine marble and ample counter space and cabinets. 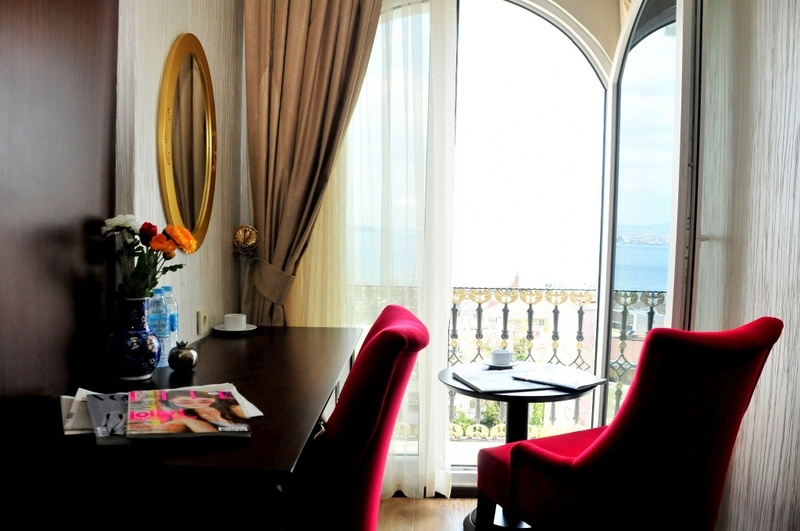 The Corner Suite: Sea View Room is a hybrid for those who cannot decide on the stunning balcony Maramara Sea view and the illustrious Sultanahmet locale. The Corner Suite: Sea View Room is equipped with the customary amenities of The Magnaura Palace Hotel coupled with an open layout for heightened relaxation. • Stunning view of the Marmara Sea and Istanbul’s metropolitan Asian half. 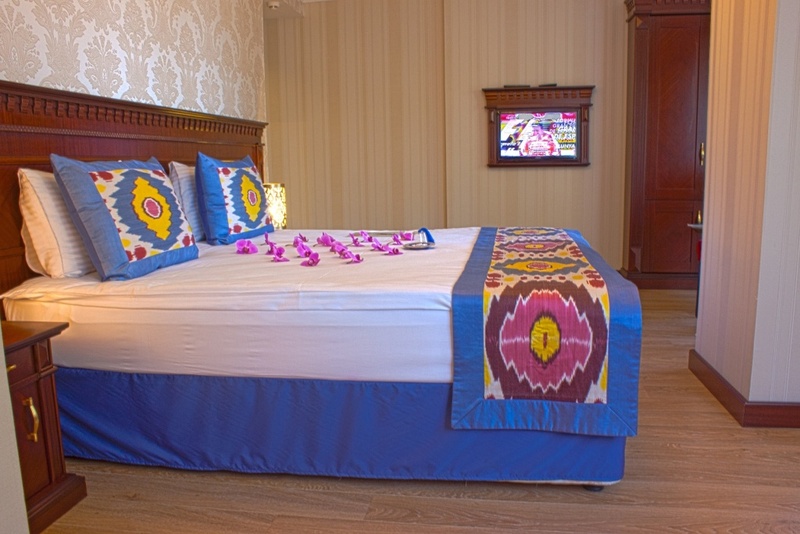 The Magnaura Palace Hotel is a newly opened in the heart of historical peninsula. Located steps away from the highlights of Ottoman and Byzantium time [such as Blue Mosque, St Sophie, Topkapi Palace, Hippodrome and Basilica Cistern. We are at your service with our 18 rooms equipped with central heating and air condition systems, direct dial telephone, Satellite TV, sitting areas, writing tables and cupboards as well. 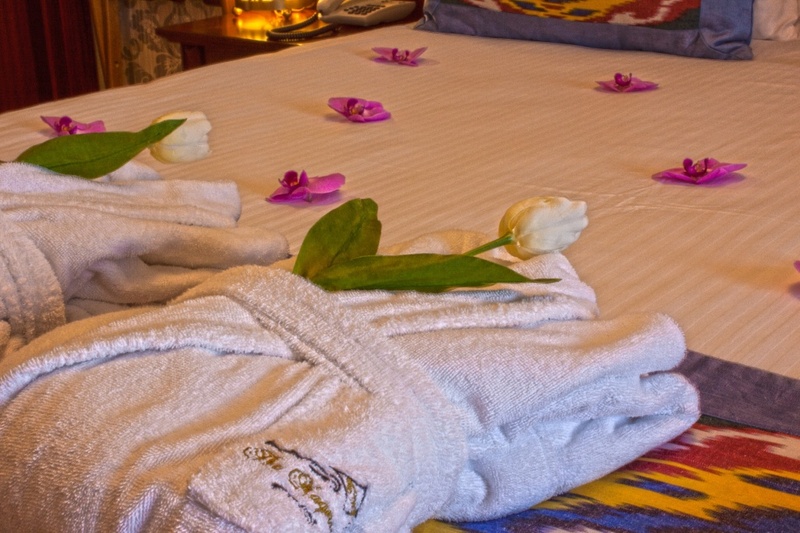 We aimed to give you 5 star comfort in a boutique atmosphere. 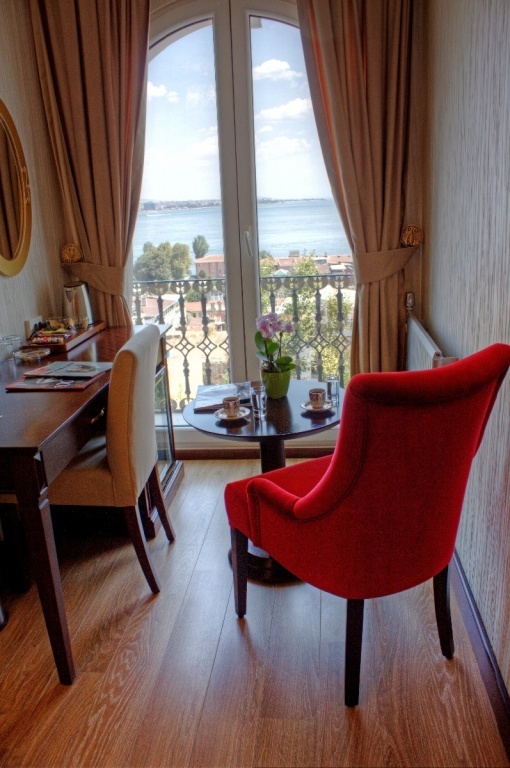 In addition to these facilities all our rooms has a Juliet balcony, 9 of them facing Marmara Sea and the ruins of Magnaura palace. The Magnaura Palace is located in the center of historical peninsula (Sultanahmet) of Istanbul the Cpaital of 3 empires. Steps away from Blue mosque, St Sophia, Topakapi Palace, Byzantium Hippodrome and Basilica Cistern. Grand Bazaar and Spice Bazar are at walking distance as well. 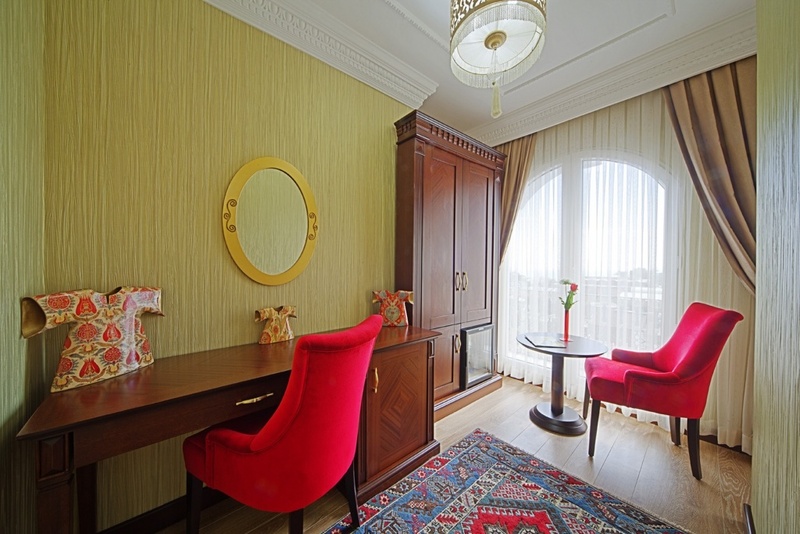 The Magnaura Palace Hotel , is located in a central but quiet street of historical Sultanahmet. The ground floor has a lobby and cafeteria the 5-storey building has an elevator. Our rooftop terrace has a gorgeus view of the Blue Mosque, the Sea of Marmara and St Sophia. A continantal/ Turkish breakfast is served in our cafeteria from 8:00 am to 12:00. A complimentary high speed wireless internet is provided entire hotel. Check – in is available from 12:00, upon to the availibility early check in is possibe. We provide a sepecial transportation service from Istanbul airports to the hotel. The cost of this service up to four pax is €35 from Ataturk Airport and €70 from Sabiha Gokcen Airport (There willbe an additional charge for larger groups more than four). If you would like to use this service please let us know about your flight details at least one day before your arrival, our driver will be waiting for you with a sign, your name written. Please note that this is a private service and more expensive than regular taxis but it’s more comfortable and reliable. Other services that we offer are: 24-hour reception, concierge and room service, pre-arrival concierge service, laundry and dry cleaning, luggage storage, car rental assistance, daily city tours and private guided tours, reservations, ticket confirmations, wake up calls, fax, photocopying, courier and postal services as well as recommendations and assistance in a variety of activities.